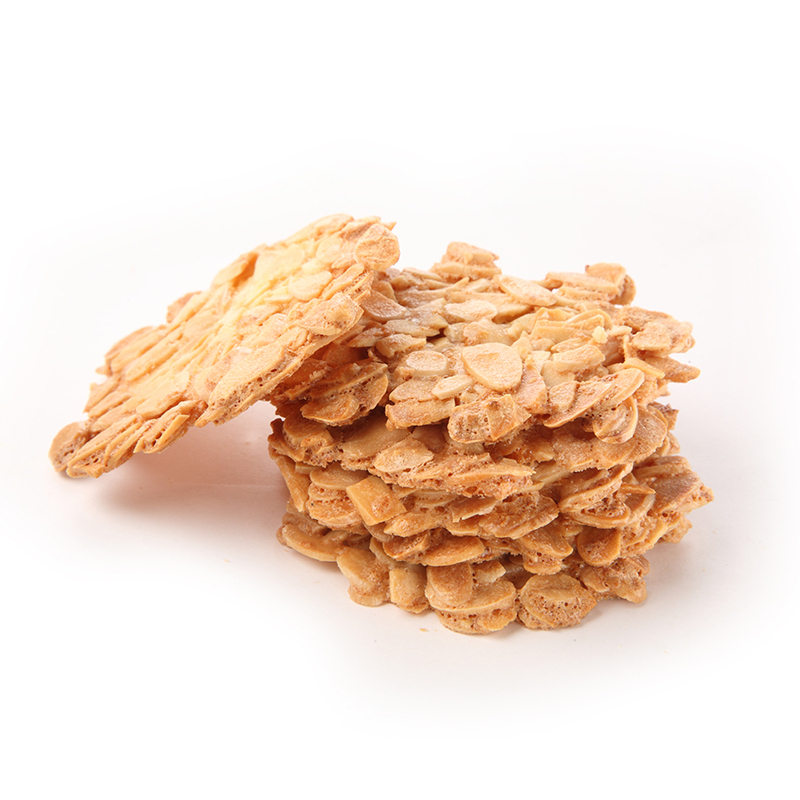 Almond and orange florentines - home cooked food delivered. These crispy, wafer thin biscuits are just the ticket to finish off a sophisticated dinner party or champagne lunch. Their delectable almond flavour is complemented perfectly by a hint of orange. You may have to hide these from the kids! No cooking required - ready to eat and enjoy! Store in an airtight tin once opened. Use within 7 days of purchase.